'Perhaps the most brilliant English novelist of his generation' Alan Hollinghurst 'The wit of Wilde, the lightness of Wodehouse, the waspishness of Waugh. A joy' Zadie Smith Acclaimed for their searing wit and their deep humanity, the Patrick Melrose novels are one of the major achievements in English fiction. They follow Patrick through his shattered, savage childhood, his drug-addicted and haunted twenties, and into the complexities of middle age. As he negotiates the death of his parents, the compromises of marriage, and the fraught tenderness of eventual fatherhood, Patrick battles at first to stay ahead of his past, and then to find release from it. 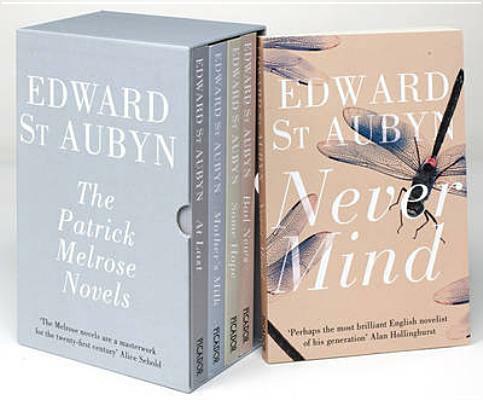 Told with St Aubyn's astonishing precision, incomparable humour, and unnerving insight, Patrick's story - of a man who struggles to live a self-determined life, and who after many years begins to sense the possibility of liberation - takes on a universal resonance. The boxed set includes Never Mind, Bad News, Some Hope, Mother's Milk, and At Last.